Some countries with deeply contrasting linguistic histories are now becoming literate in similar ways. In Nepal and Malawi reading is becoming more common, as governments set up more schools and encourage girls and boys to attend. Unlike most of Africa and Asia, Nepal was never formally colonized. The British were content to recognize the kingdom and install a British ministry in 1840 to advise on key issues, especially foreign policy. And the British accepted Nepali soldiers, the famous Gurkhas, into the Indian army. Malawi was colonized, but fairly late. The Scottish missionary-explorer, David Livingstone ambled across what is now Malawi in 1861. The first traders, the African Lakes Company, set up shop in 1878, in Blantyre, and military conquest was complete by 1890. A country’s literary tradition can be old or recent. Nepali has been written from the very start, since the language first evolved from Sanskrit, which itself had a sophisticated writing system by the second millennium BCE. The languages of Malawi (then called “Nyasaland”) were not written until the 1870s when Scottish missionaries devised scripts (“alphabets”) to translate the Bible. By the 1890s children were learning to read and write in mission schools. In Malawi, a literary heritage of thousands of years had been compressed into a single generation. An old literary tradition is not necessarily a democratic one. 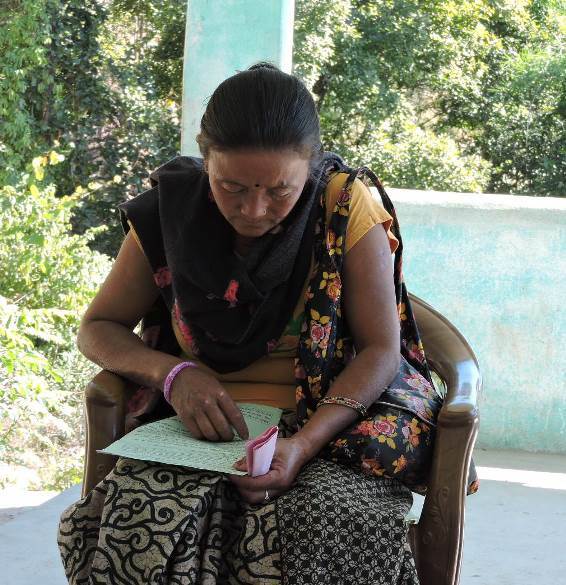 In Nepal, as late as 1900, only 5% of the population could read. Government schools gradually improved. By 1951 the literacy rate was 39%, rising to 58% in 1991. Some of this effort was motivated by a policy to promote the Nepali language at the expense of the others spoken in the country, many of which are entirely unrelated to Nepali, linguistically. In Malawi there were never enough mission schools to meet the demand from parents who wanted their children to study. Government schools expanded, especially after independence in 1963. The languages of Malawi are all Bantu tongues, and are all fairly closely related to one another. People learn to read in their own language (e.g. 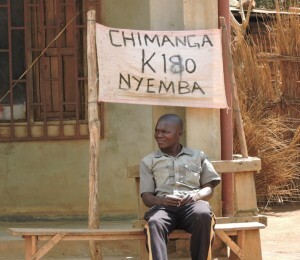 Tumbuka or Yao), besides Chichewa, which is the de facto national language. The world literacy rate (the percentage of people over 15-years-old who can read), is 86% (83% for women). Sub-Saharan Africa and South Asia have some of the lowest literacy rates in the world: 65% for Nepal and almost the same for Malawi at 66%. Fewer women are literate, 55% in Nepal and just slightly more, 59%, in Malawi. I was in Nepal and Malawi this year, and while the school systems are not over-funded, in both countries I was pleasantly surprised to see people reading, even in the countryside. Even people who didn’t go to school usually have someone in the household who can read a document to them. In Nepal, shops advertise their wares in writing on the storefront, and in Malawi, roadside grain buyers scrawl their maize and bean prices onto signs, to attract farmer-sellers. In both countries, when extensionists give farmers a piece of paper, their first reaction is to read it. There is room for improvement, e.g. schools need to be better resourced and more girls and women need to be included, but even in some of the poorest parts of the world many more people can read now than in their parents’ day. This is an opportunity for communicating agriculture. It means that agencies can write fact sheets for farmers, as long as the writers can avoid jargon. While videos are an important way of reaching women, minorities and other disadvantaged groups, even a DVD of farmer learning videos is enhanced with a bit of writing, such as a cover with a title, and a menu so farmers can choose the videos they want to watch. World literacy rates have improved so fast that it is much more common for young people to read than for elders (Roser and Ortiz-Ospina 2016). Let’s make sure that this generation of literate farmers has something appropriate to read about agricultural technology. McCracken, John 2012 A History of Malawi: 1859-1966. Woodbridge, Suffolk, UK: James Currey. 485 pp. Whelpton, John 2005 A History of Nepal. Cambridge: Cambridge University Press. 296 pp.